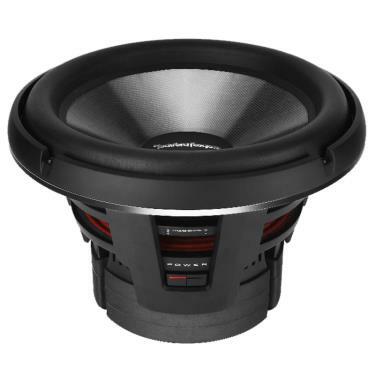 The woofer cone is a three layer design, glass fiber/aramid honeycomb/glass fiber with an aluminum dust cap. When using a sealed enclosure, Rockford recommends an ideal internal volume of 2.4 ft³ (1.79 ft³ to 2.79 ft³ acceptable), resulting in a -3dB point of 43.3 Hz and Qtc of 0.74. Sealed enclosures provide the most control over a woofer, will handle a lot of power, and provide accurate sonic reproduction, making them suitable to all types of music. The Power T2S2-16 subwoofer features 16-inches of effective radiating cone area and a single 2-ohm voice coil for ease of wiring.